My first #DevDay was in Cincinnati. That city always makes me think of early 80’s sitcom WKRP in Cincinnati. Don’t remember it? Here’s their promo photo and tagline. Ah. “Switch gears quickly”. There’s a phrase that still resonates for this industry. Because it’s a skill developers still need today in a world of constant IT transformation. Organizations are continuously adjusting application delivery, platform integration and infrastructures to meet new business requirements and market demand. Therefore, IT professionals must advance their skills through technical education opportunities and community networking. And Micro Focus #DevDays provide plenty of both. What did I learn at Micro Focus #DevDay? Not familiar with Micro Focus #DevDays? Here are the insights from my experience. – Cincinnatians show up! 92% of the people who registered for the event were there! – Being from Texas, I didn’t realize it snowed in April…its springtime…it was just flurries. OK, on a #DevDay POV. – These free events help COBOL and other application developers tackle today’s key IT and industry challenges in a format that enables our experts to deliver these topics head-on with in-depth knowledge, and innovative live technical demonstrations. 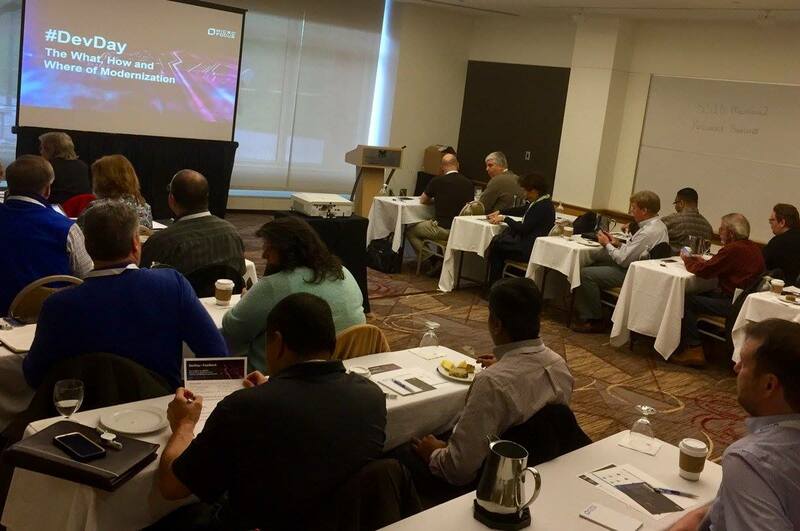 – #DevDay is a great forum for the enterprise COBOL development community to share experiences and hear best practices and learn new skills while collaborating with other developers – check out the pictures from Cincinnati on our Facebook events page. 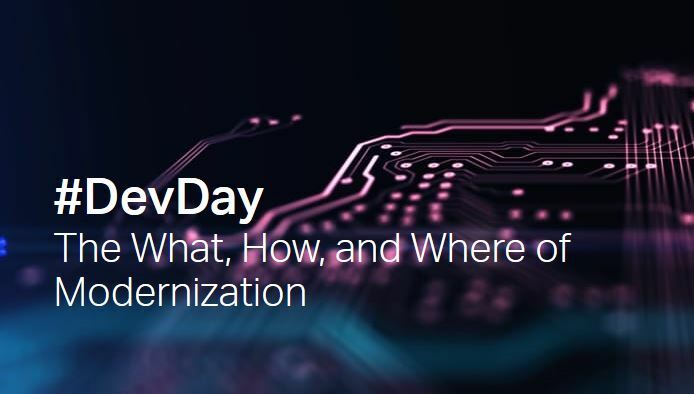 Developer led sessions and technology tracks that focus on today’s popular modernization priorities such as .NET /Java Integration, DevOps and the mainframe, and moving COBOL workloads to the Cloud. Take part in our ever-popular “Ask the Experts” panel discussion and network with other developers. 1) Build New Skills: Get hands-on experience using modern application development and delivery tools and practices. 2) Step into the Cloud: Understand your options for COBOL systems, cloud, containers, mobile and managed code. 3) Learn from Micro Focus and Other Experts: Witness the very latest in Micro Focus Appdev and modernization technology. 4) Tackle the Talent Question: See how .NET, Java and Micro Focus’ modern tools deliver a skills strategy for long-term success. 5) Deliver Better Software, Faster: Explore faster application delivery using Agile and Enterprise DevOps practices. Need your IBM mainframe or enterprise COBOL applications to work faster? Want to improve software delivery? The answer is #DevDay. Where and when are the next #DevDays? Get more information here and hopefully see you soon.